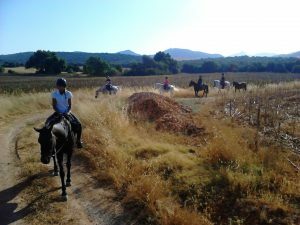 We have a short hack of 1 hour available for all levels, where we show you an abandoned olive grove with lots of wild herbs and bushes growing between the trees, and tiny little flowers covering the ground in springtime. 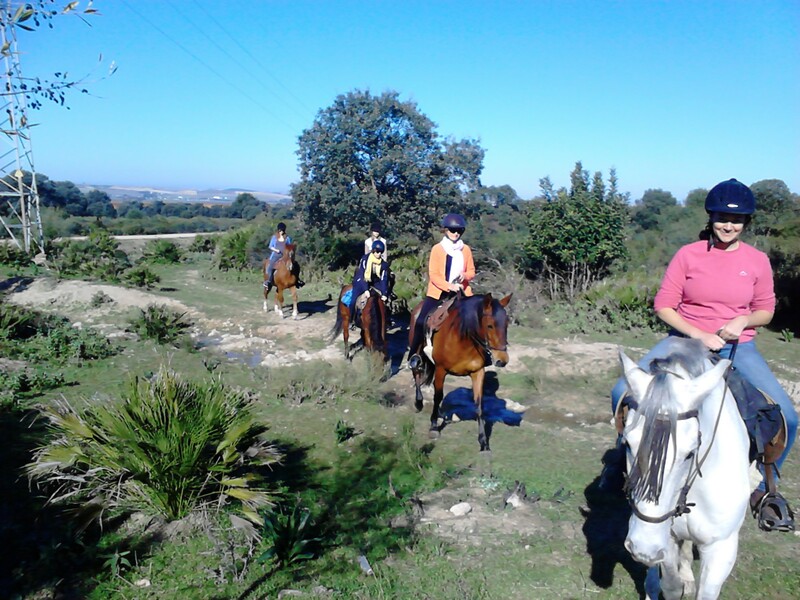 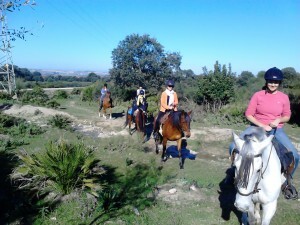 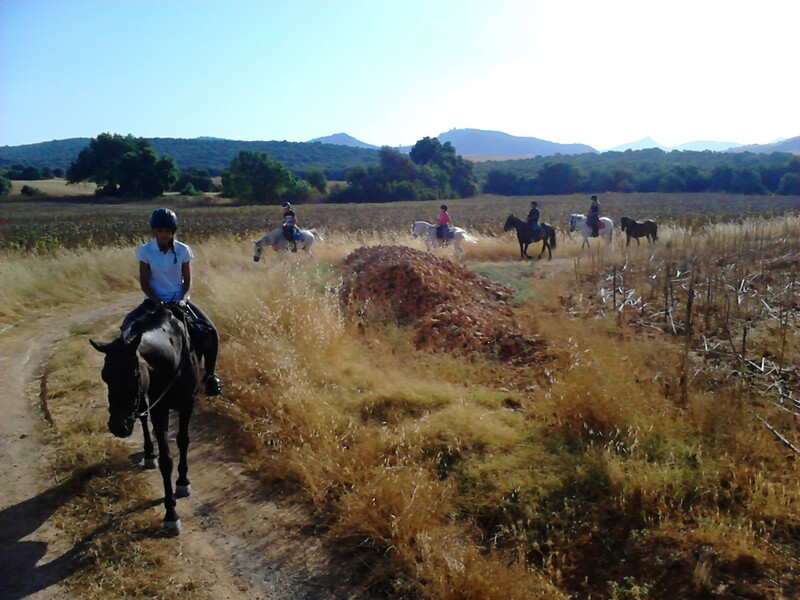 Oak trees and the view on the endless andalusian grain and sunflower fields complete the experience of this atractive walk around on horseback. 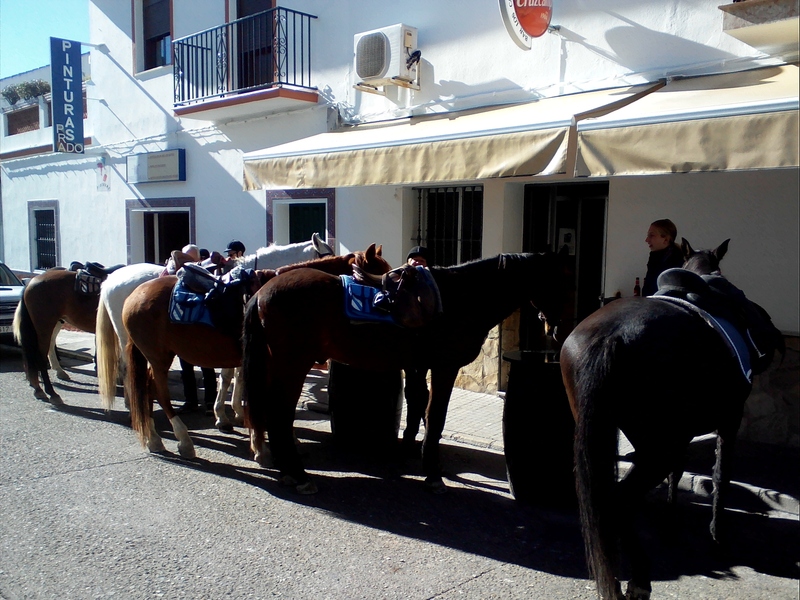 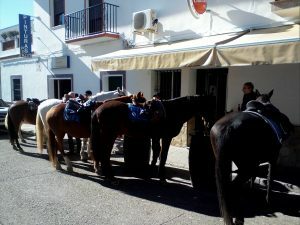 Another ride of 2,5 hours leads us with beautyful views over cork forest hills and limestone mountains to our village Prado del Rey where we stop for a little drink in a bar. 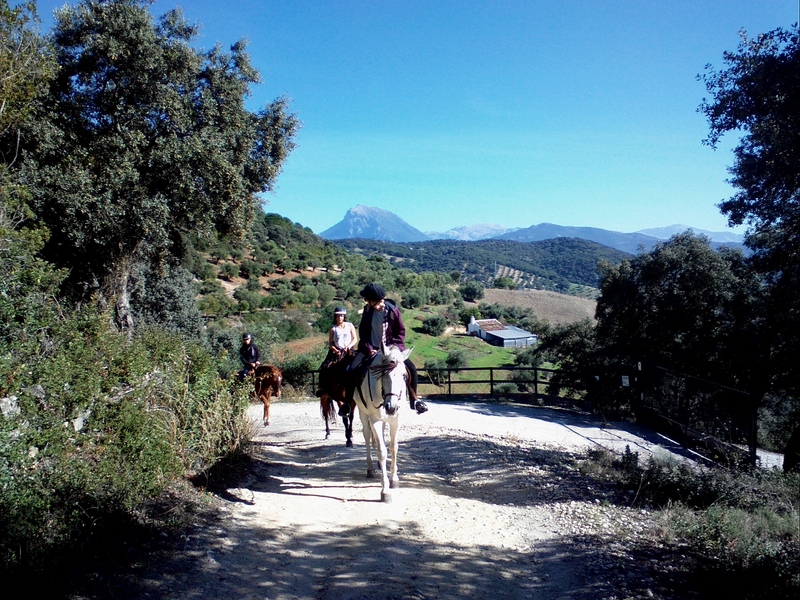 Our way back goe further uphill to Cerro Verdugo, and back to Suryalila with great views over the lake and the white villages Bornos and Villamartin.